Monitor state, performance, temperature of your disks and prevent data loss. 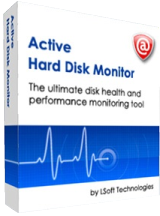 Active@ Hard Disk Monitor Pro 3.1.9 was available as a giveaway on May 27, 2016! Monitor the state, performance, and temperature of your disks and prevent data loss using Self-Monitoring Analysis and Reporting Technology (S.M.A.R.T.). Detect bad sectors on a disk surface by running Advanced Disk Scan. Instantly retrieve the disk health information from the application running in the System Tray. With Hard Disk Monitor Professional, you can remotely monitor up to three PCs and receive email notifications in case of critical conditions of your drives. Please note: the best three inprpovement ideas will be rewarded with Active@ Undelete Pro license. Please use the IdeaInformer widget to supply your idaes! How would you improve Active@ Hard Disk Monitor Pro 3.1.9? I would like to have an action taken when there serious issues with the drive. Active@ Data Studio is a comprehensive utility packed with Active@ Boot Disk and 13 data recovery, data security and backup applications. 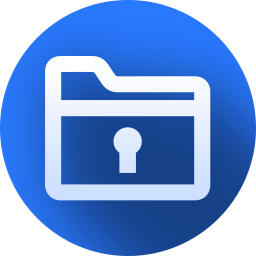 Recover your data and passwords, securely delete your files with KillDisk or back them up with Active@ Disk Image from your Windows desktop or Active@ Boot Disk environment. Get all of LSoft’s utilities for less than half a price! Special 50% OFF coupon code for GOTD users: GOTD-50. If you're running a serverfarm I can understand you need software like this. I, as home user, haven't seen an HDD fail in over 20 years. Which makes me ask just how useful this software is. It's a good program but the temperatur is 'Not supported' on my WD hard drive. The different extern hard drives are not recognised by the program. The SMART info is detailed and easy to understand. The manual is good, it's recommended to read it. It helps to understand how the program works. It's a good program but the temperatur is 'Not supported' on my WD hard drive. The different extern hard drives are not recognised by the program. The SMART info is detailed and easy to understand. The manual is good, it's recommended to read it. It helps to understand how the program works. Thank for the offer! I like and have bought LSoft file and partition recovery software. Also, I used this program when it was free a long time ago. Unfortunately, it stopped working for me when I started using my ASUS M3N-HT NVIDIA nForce 780a motherboard's built-in RAID controller. Today was no different, especially since this is probably the same 2012 software I've tried in the past. So, if LSoft ever got some RAID detection capability in this software, it'd be great. As of 5 hours ago, 1:30 PM MST Arizona, US, I still haven't been emailed my registration name and key. 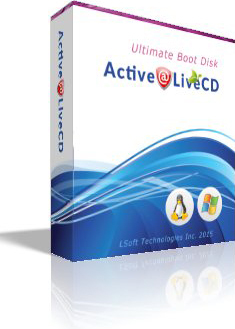 I like and have bought LSoft file and partition recovery software. Also, I used this program when it was free a long time ago. Unfortunately, it stopped working for me when I started using my ASUS M3N-HT NVIDIA nForce 780a motherboard's built-in RAID controller. Today was no different, especially since this is probably the same 2012 software I've tried in the past. So, if LSoft ever got some RAID detection capability in this software, it'd be great. As of 5 hours ago, 1:30 PM MST Arizona, US, I still haven't been emailed my registration name and key. CrystalDiskInfo is free and will do the same thing without cost and free upgrades that come out regularly. I also like HD Sentinel which works great and I got for free. They both support external drives properly. So I will be sticking with what I know works. Thanks for the offer but until you correct external drive support I am not interested. Well Svend, the company may know what they are doing, but the Hard Disk Monitor Pro 3.1.9 has a feature missing that renders it useless in my case. It works perfect with fix installed hard disks, but doesn't work with external hard disks via USB connection. It recognizes the HD, but says that S.M.A.R.T. data, temperature, etc. are NOT supported. That's a big flaw in a program that claims to be a 'Pro' version. BTW, it's not the USB 3.0 or the HD, because Ashampoo's HDD Control 3.1 supports every external HD just fine. So, consequently, I had to uninstall it again and went back Ashampoo's version. Well Svend, the company may know what they are doing, but the Hard Disk Monitor Pro 3.1.9 has a feature missing that renders it useless in my case. It works perfect with fix installed hard disks, but doesn't work with external hard disks via USB connection. It recognizes the HD, but says that S.M.A.R.T. data, temperature, etc. are NOT supported. That's a big flaw in a program that claims to be a 'Pro' version. BTW, it's not the USB 3.0 or the HD, because Ashampoo's HDD Control 3.1 supports every external HD just fine. So, consequently, I had to uninstall it again and went back Ashampoo's version. I have download and install already on my Surface, but it doesn't support my SSD drive. I think this software maybe support only for Disk Drive not SSD. In other way to optimize my Surface device I have followed this ultimate tips. I have download and install already on my Surface, but it doesn't support my SSD drive. I think this software maybe support only for Disk Drive not SSD. In other way to optimize my Surface device I have followed this <a href="https://surfacetip.com/ultimate-tips-max-surface-pro-4-battery-life/" title="Ultimate Tips to Max Out Surface Pro 4 Battery Life">ultimate tips</a>. Installed on Win 10 computer. No problems registering. WARNING generated every 2 seconds but no clue what the warning is about or how to find out. Have to uninstall before warnings drive me nuts! Paul Silvan, I had the warning pop-up as my SSD had a 0% smart value which also gave a red spot on the TaskBar. Clearly not compatible with SSD. Install without problem after jumping through hoops to get the download link via e-mail. Registration requires you to sign up for newsletters from the publisher and confirm your subscription before you get the activation code. Program doesn't seem to like external drives (shows eSATA and USB connected devices as Not Supported) or SSD's. Out of 9 drives on my system, it could only examine 4. That in itself is a deal breaker for me. SiSoftware 2016 lite is a much more capable program - and it, too, is free. Install without problem after jumping through hoops to get the download link via e-mail. Registration requires you to sign up for newsletters from the publisher and confirm your subscription before you get the activation code. Program doesn't seem to like external drives (shows eSATA and USB connected devices as Not Supported) or SSD's. Out of 9 drives on my system, it could only examine 4. That in itself is a deal breaker for me. SiSoftware 2016 lite is a much more capable program - and it, too, is free. James Bland, I do have one SSD, and it seems to detect and analyze/report on it without problem. naterko, I have two Samsung 840 Pro Series SSDs mounted internally. One is 128GB, and the other is 256GB. Neither is supported. It is possible that the Samsung Magician program is interfering with today's program, as it is continually monitoring the SSDs. BTW: I just checked SiSoftware's Sandra 2016. The hardware analysis seems to no longer be free. Since my last purchased edition way from 2005, I went ahead a paid for the 5-license upgrade ($40). naterko, I have two Samsung 840 Pro Series SSDs mounted internally. One is 128GB, and the other is 256GB. Neither is supported. It is possible that the Samsung Magician program is interfering with today's program, as it is continually monitoring the SSDs. BTW: I just checked SiSoftware's Sandra 2016. The hardware analysis seems to no longer be free. Since my last purchased edition way from 2005, I went ahead a paid for the 5-license upgrade ($40). "Program doesn't seem to like external drives (shows eSATA and USB connected devices as Not Supported) "
If it helps at all... CPUID HWMonitor will show hdd temps, including eSATA but not USB. Hard Disk Sentinel will monitor USB hdds. James Bland, <i>"Program doesn't seem to like external drives (shows eSATA and USB connected devices as Not Supported) "</i> If it helps at all... CPUID HWMonitor will show hdd temps, including eSATA but not USB. Hard Disk Sentinel will monitor USB hdds. Please read the Readme file, all instructions are there. John Casanova, Please read the Readme file, all instructions are there. I would like to add that you can connect to other computers that are running this program to monitor their disk health as well. I personally have no need for this, but I could see it being very useful. Seems like a basic, but decent program for monitoring and diagnosing hard drives. I've used HD Tune in the past, which has tests galore; this program does not have all those tests, from what I can see. The program seems to not have been updated since 2012, and there's plenty of room for improvement so I don't know whether the developers just decided to settle for what it is or they abandoned the program completely. So for a quick fix, and if you don't have anything else around I'd say you could use this program, but I wouldn't recommend it given there are better alternatives to it. The program seems to not have been updated since 2012, and there's plenty of room for improvement so I don't know whether the developers just decided to settle for what it is or they abandoned the program completely. For example you can't choose to see SMART data in decimal, there's no logging of SMART attributes over time, hard drive health is badly estimated, the program is not compliant with Windows' theme (select Windows as the style in settings to see), settings are scattered everywhere (e.g. to change the temperature threshold you have to edit the connection settings of the machine), ... So for a quick fix, and if you don't have anything else around I'd say you could use this program, but I wouldn't recommend it given there are better alternatives to it. Kao, please submit you ideas via IdeaInformer widget. We will be rewarding top 3 ideas with Active@ Undelete Pro license. Kao, please submit you ideas via IdeaInformer widget. We will be rewarding top 3 ideas with Active@ Undelete Pro license. Thank you ! LSoft Technologies, oh I tried to submit some things through the Idea Informer thing but it wouldn't work. Clicking "Add idea" or whatever the button said wasn't doing anything. And I even tried to go with a different browser (IE 11) to see whether it was a problem of Chrome or something. I'm sorry but I'm not going to be keep trying, some suggestions to improve the program are detailed in my previous comment so if there's actually interest in making the program better that should suffice. LSoft Technologies, oh I tried to submit some things through the Idea Informer thing but it wouldn't work. Clicking "Add idea" or whatever the button said wasn't doing anything. And I even tried to go with a different browser (IE 11) to see whether it was a problem of Chrome or something. I'm sorry but I'm not going to be keep trying, some suggestions to improve the program are detailed in my previous comment so if there's actually interest in making the program better that should suffice. Kao, we have contacted GOT to get your email address if that is OK with you. If we get, it we will send you the Undelete Pro key. Asking for your email in the comment section probably isnt the best idea. idea informer works, but the ideas should be verified first by a moderator before they will be published. Hi <b>Kao</b>, idea informer works, but the ideas should be verified first by a moderator before they will be published. Just installed it and it seems to work on my discs. I agree with Roger though that it would be good if information is explained beter for people who do not work with this every day. That will make it easier to use for a larger group of people. I'll also give hard disk sentinel a try to see how it compares. Installed ok and running. I also have Hard disk Sentinel running.One concern: HDS states both Disk Performance and Health at 100% while Active@ shows Health at 87%. both "Spin Up Time" same values etc. with no reason given for the drop in health on Active@. Any suggestions......thanks. I installed Hard Disk Monitor, but don't like it for two important reasons. Firstly, the data it gives is very technical. While it will show if there are problems with a hard drive (or SSD) it won't give an explantion of how serious the issue is. Secondly, when I connected some notebook hard drives to my laptop with a USB cable, it was not able to read the SMART data from them, meaning it could give no information on the condition on the drives. I usually use Hard Disk Sentinel to do the same job, and it works a lot better. It gives a detailed explanaton of any problems found in plain English, so you can tell if the problems are minor (in which case there is probably no need to replace the drive just yet), or serious (in which case you should replace the drive as soon as possible as it may fail soon), which is of course, very useful to know. Also, Hard Disk Sentinel was able to read the data from the external drives that Hard Disk Monitor couldn't read from. You can often get Hard Disk Sentinel as a giveaway. Just do a search for hard disk sentinel giveaway. Whenever I buy a used hard drive from eBay, I connect it to my laptop, and hard disk sentinel tells me if there are any issues with the drive, and if there are any, I won't use the drive. I can't do this with today's giveaway as it can't read this information from the drives I connect. If you want a completely free alternative, CrystalDiskInfo, while not giving detailed information like Hard Disk Sentinel does, can at least read the diagnostic data from any hard drives I connect to my laptop. I installed Hard Disk Monitor, but don't like it for two important reasons. Firstly, the data it gives is very technical. While it will show if there are problems with a hard drive (or SSD) it won't give an explantion of how serious the issue is. Secondly, when I connected some notebook hard drives to my laptop with a USB cable, it was not able to read the SMART data from them, meaning it could give no information on the condition on the drives. I usually use Hard Disk Sentinel to do the same job, and it works a lot better. It gives a detailed explanaton of any problems found in plain English, so you can tell if the problems are minor (in which case there is probably no need to replace the drive just yet), or serious (in which case you should replace the drive as soon as possible as it may fail soon), which is of course, very useful to know. Also, Hard Disk Sentinel was able to read the data from the external drives that Hard Disk Monitor couldn't read from. You can often get Hard Disk Sentinel as a giveaway. Just do a search for hard disk sentinel giveaway. Whenever I buy a used hard drive from eBay, I connect it to my laptop, and hard disk sentinel tells me if there are any issues with the drive, and if there are any, I won't use the drive. I can't do this with today's giveaway as it can't read this information from the drives I connect. If you want a completely free alternative, CrystalDiskInfo, while not giving detailed information like Hard Disk Sentinel does, can at least read the diagnostic data from any hard drives I connect to my laptop. Please submit your suggestions to idea informer. We are also giving away Active@ Undelete Pro license to top three suggestions. Hi Roger, Thank you for you feedback! Please submit your suggestions to idea informer. We are also giving away Active@ Undelete Pro license to top three suggestions. Thanks! Totally at a loss as to what to make of this program; first install after exiting and reopening it could not find the hard drive. Uninstalled, and then reinstall and this time it could find the hard drive but said it was not supported; a Western Digital 1 TB drive. Did the same again and got the same result, getting no temperature readings not even when requested to be placed in the taskbar. Hard Disk Sentinel works perfectly on this drive! The above suggests that the program contains some very serious bugs and therefore I cannot take any information it gives me seriously, uninstalled yet again. Totally at a loss as to what to make of this program; first install after exiting and reopening it could not find the hard drive. Uninstalled, and then reinstall and this time it could find the hard drive but said it was not supported; a Western Digital 1 TB drive. Did the same again and got the same result, getting no temperature readings not even when requested to be placed in the taskbar. Hard Disk Sentinel works perfectly on this drive! The above suggests that the program contains some very serious bugs and therefore I cannot take any information it gives me seriously, uninstalled yet again. Tata, please submit your ideas via ideainformer widget. We appreciate feedback from advanced users and with that in mind top three ideas will be rewarded with Active@ Undelete Pro license. Tata, please submit your ideas via ideainformer widget. We appreciate feedback from advanced users and with that in mind top three ideas will be rewarded with Active@ Undelete Pro license. Thanks! Is this for SSD's as well? Yes, Active@ Hard Disk Monitor works on SSD's as well. Derek Lawler, Yes, Active@ Hard Disk Monitor works on SSD's as well. Have a great day! LSoft Technologies, exactly what features are included for SSD's? LSoft Technologies, However, on my Surface Pro 3, It doesn't support my Samsung SSD. I assume that this company knows what they're doing. Their program KillDisk is widely known among professionals in computing. I assume that this company knows what they're doing. Their program KillDisk is widely known among professionals in computing. Certainly worth a try!